Xcode 9 added the ability to create static libraries with Swift code. 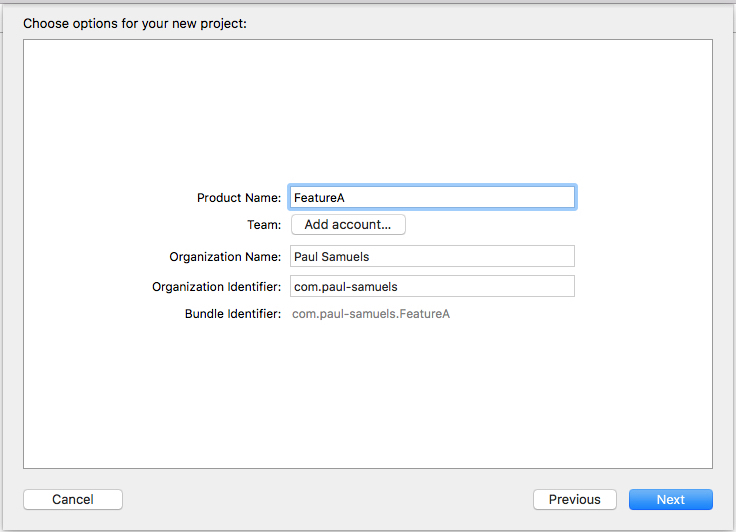 Everything works great if you have an all Swift project, you link your library, import the module and away you go. To get your shiny new static library to be visible in Objective-C you need to do a little more work. These instructions are based on a setup where you will build the static library as a subproject of your main app, you’ll need to make adjustments as required if this does not mirror your setup. 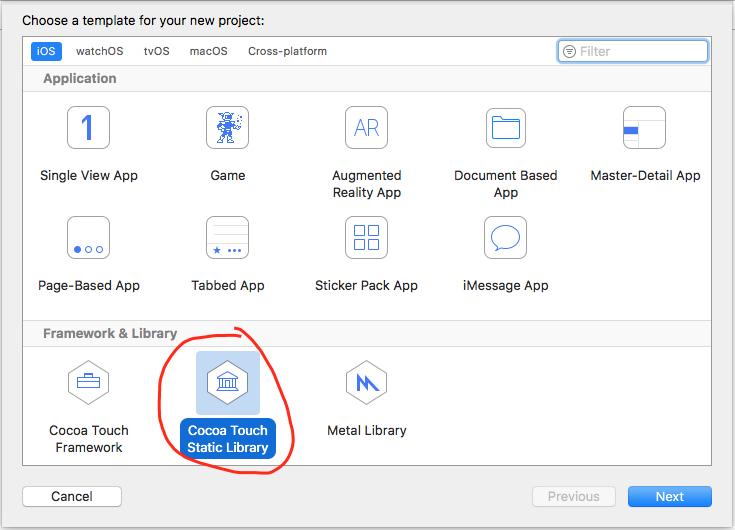 Create the subproject using File -> New -> Project -> Cocoa Touch Static Library. For a pure Swift project you should be done now. For a mixed project carry on. At this point you should be able to import the static library using #import <FeatureA/FeatureA-Swift.h> and start using your Swift code that is annotated with @objc. 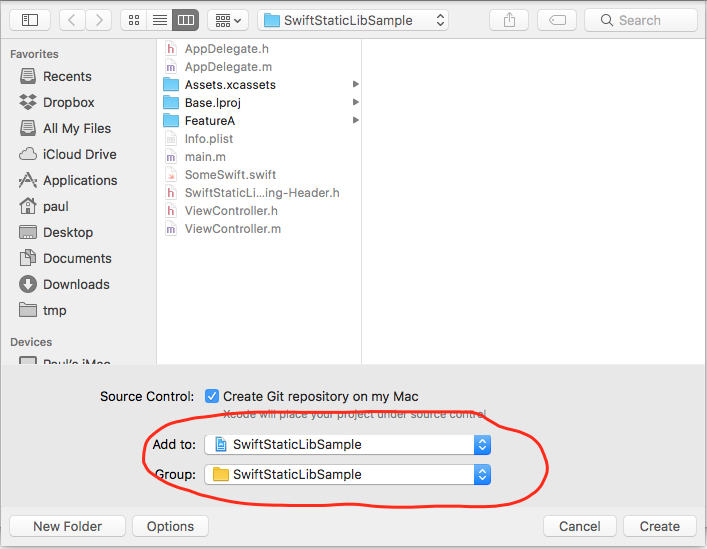 Depending on how your project is set up you can run into issues where the generated swift file for your main project imports the new static library. The issue here is that it will import using module syntax (@import FeatureA;), which your project will not currently understand. Following the steps above should get you working with a Swift static library within a mixed Swift/Objective-C project much quicker than I did. Whenever I read a post like this I’m obviously grateful for the tips, especially if they help resolve the thing that was blocking me, but I’m always left wondering how someone worked it out in the first place. Here’s some rough retrospective notes on the things I did to figure out the above. I examined all the search paths - you can view these in Xcode by searching in Build Settings. The one that I was mainly investigating was Header Search Path, this setting is blank by default. I noticed that the Static Library project sets its Copy Files subpath as include/$(PRODUCT_NAME) so I made the assumption that this directory will be searched. I started to look in the Build Products Dir to see if I could find my generated Swift.h file but couldn’t see anything. You can get to the Products folder by expanding the Products folder in Xcode and then right clicking an item (like the static library) and selecting Show in Finder. At this point I was started to think that maybe the generated header just wasn’t being created and this wasn’t meant to be. I was just looking to see if there were any errors I had missed or anything else to help me out. This is when I noticed a phase called Copy FeatureA-Swift.h ... - BINGO. The header is indeed being created it’s just being put in a place that is not on the search path. This is when I added the Run Phase Script from above. It basically copies any files following the name *-Swift.h from the DerivedSources folder to the include folder. In my particular project I ran into the problem where the main project’s generated Swift file imported the library. This meant that the library was being imported using module syntax. This step was not too difficult, I just read a few blog posts on creating a module.modulemap file and got it done. I’ve tried to give some insight into the things I did to resolve the issue but reading the above can still be misleading. Taken at face value it looks like I just followed a few systematic steps to get to a solution but the reality was that this debugging took many hours, lot’s off googling, lot’s of swearing and muttering to myself, a few good nights of sleep and a lot of perseverance. Hopefully someone might find this useful (probably just me in a few weeks time when I have forgotten the above).